Last week I went to visit my boyfriend Matt in Northern Virginia. One of the days I was there we took the metro into DC. While there we were there, we checked out The National Portrait Gallery (it's free!) and the news and journalism museum aptly called Newseum (not free but really cool!). In between, we stopped at mezze (basically tapas) restaurant called Zaytinya. 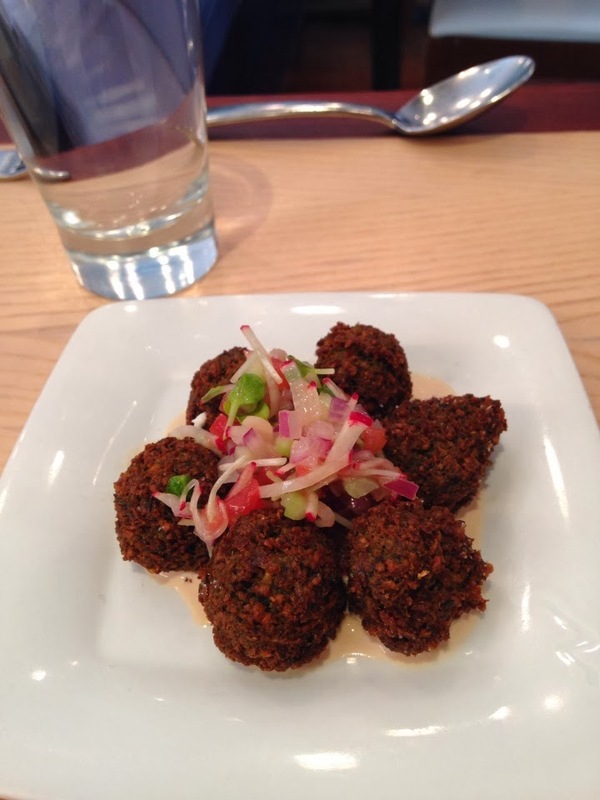 It has an incredible array of Lebanese, Turkish and Greek foods. The restaurant itself is beautiful with lots of bright white and blue that reminded me of the pictures I've seen of the Greek Islands. 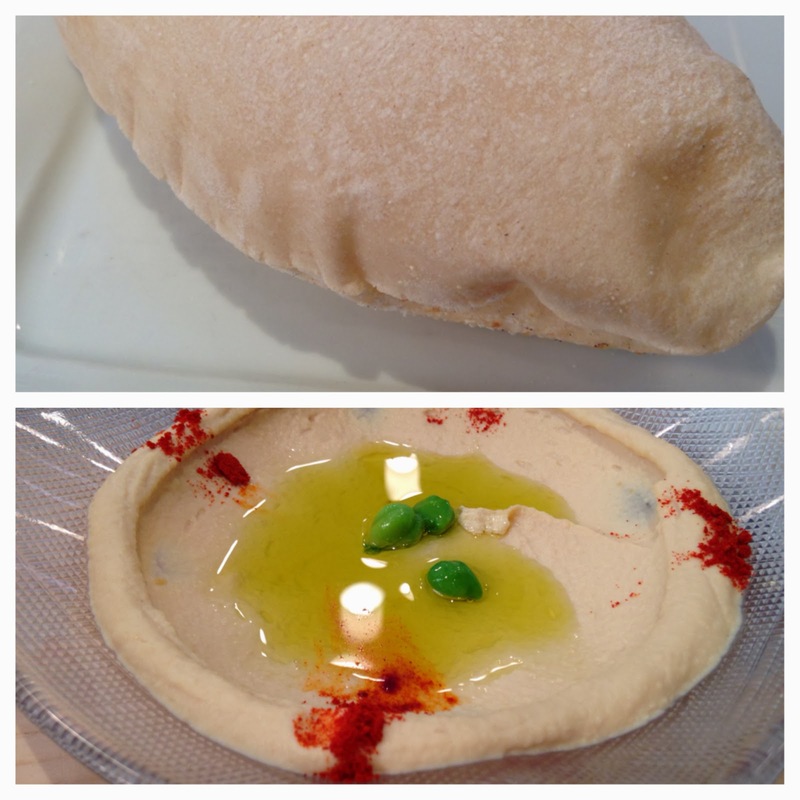 Every table starts off with a puffy Pita-like bread, warm from the oven. We ordered fresh hummus to dip it in. So delicious. Next we got falafels. I've made falafel from a simple recipe before and they were good, but these fresh and crispy falafels beat mine out of the park. For those of you that have never had them, they are mashed chickpeas with herbs and spices that are fried in a patty or ball form. They tasted very good sandwiched between the fresh pita with hummus or tahini sauce. My personal favorite dish was the seasonal mushrooms. 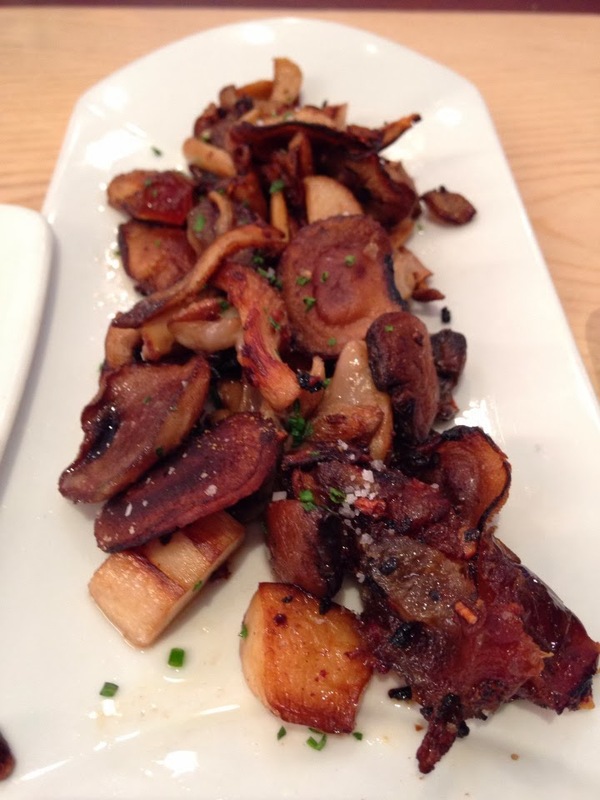 It's a dish of sautéed mushrooms, dates, cumin and toasted almonds. All the flavors mixed together very well with the dates giving a little sweetness and the almonds giving some crunch. I'm hoping to replicate it some day! 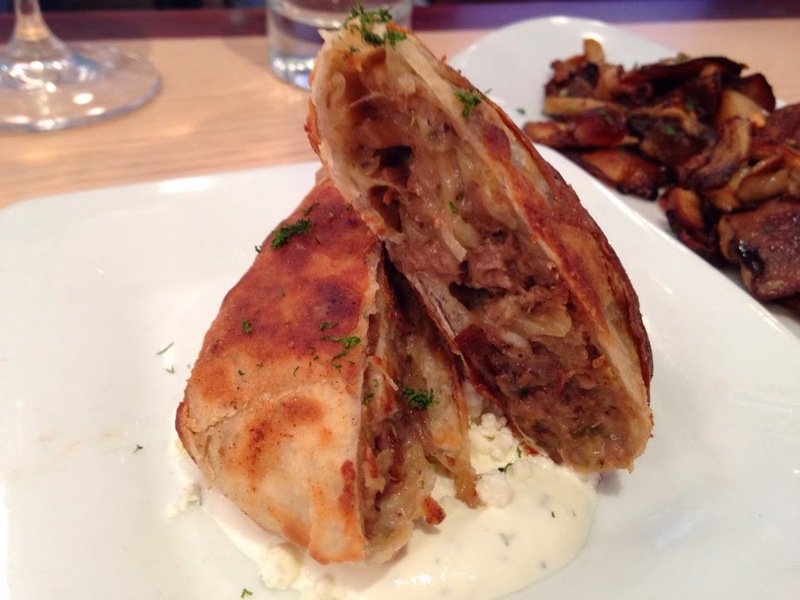 Our last dish was Lamb Kleftico which is spit-roasted lamb wrapped in house-made phyllo with feta and dill yogurt on the side. Very tasty! For dessert we got two mini (mezze) ones. Above is the Galatopita. It had cooked apples in a semolina custard topped with crispy phyllo, almonds, and a honeycrisp apple sorbet. 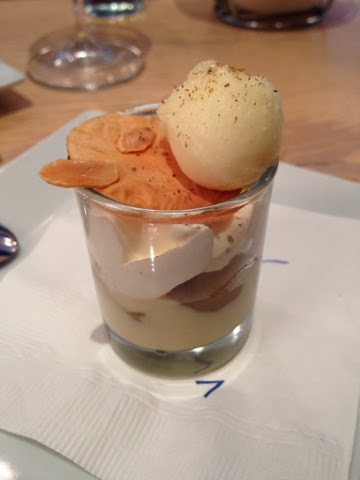 It was a great mix between the sweet custard and the sour sorbet. Below is Turkish Coffee Chocolate Cake. You could taste the buzz of the coffee! The mini cake was molten and topped with sea salt. It was surrounded by a caramel drizzle with pistachios. 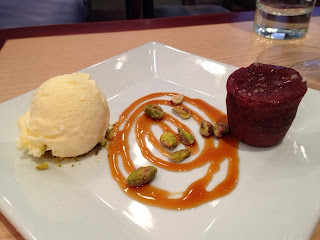 Paired with a mastiha (tasted like vanilla) ice cream, it was an incredible blend of flavors. If you are traveling to DC I would recommend stopping in!